Now that the water companies’ business plans have been submitted and OFWAT have entered the next critical phase of their price review process - scrutinising each and every plan in detail to ensure they are robust enough to deliver a high quality, affordable and resilient service to customers in the years 2020-2025 and beyond. SMi’s 8th annual Smart Water Systems conference will highlight the methods the water companies are using to ensure the goals and targets that have been set are reached and exceeded. Focussing on how new technologies, IOT and Artificial Intelligence can help to produce and analyse real-time data to ensure more efficient leakage detection and management; leading to better customer engagement and subsequently decreased customers water usage. • Gather first hand insight into what OFWAT thought of the water companies Business Plans and what is needed moving forward to reach their goals/targets. • Water2020 update and future developments needed in the water industry. With over 20 years experience in the Water Industry, and a background in both mechanical engineering and database applications, Jeremy is responsible for the management of innovation within SESW. This involves both the development of an innovation culture and the introduction of new technologies into the Water Industry. He has a keen interest in innovations that will transform how we manage our water networks, in particular smart metering, smart networks, artificial intelligence and IoT communications . David is an Executive Director at Ofwat, the economic regulator of the water sector in England and Wales. He is leading the Water 2020 programme covering wholesale markets and design of PR 19. He was a member of the 2014 price review delivery board and led the finance and modelling workstreams for this price review. David joined Ofwat in July 2012. Prior to joining Ofwat, David held a number of roles in economic consulting, advising on issues such as access and wholesale regulation and pricing, cost benefit analysis, vertical integration and the cost of capital. - What can we learn from business plans? Barry joined the Scottish Government after working as a lawyer and commercial arbitrator in the City and has since worked in a variety of policy roles including helping establish the Food Standards Agency, and drafting Scotland’s first Sustainable Development Strategy. He leads on ‘Scotland the Hydro Nation’, an innovative policy which seeks to ensure Scotland manages its water environment responsibly and sustainably, maximising its value and contribution to society and the overarching economy and employing its knowledge and expertise effectively at home and internationally. Languages: English (mother tongue) Swedish (fluent), French and German (rusty). In his spare time he enjoys being a 3rd Dan Instructor of Tae Kwon Do, taking long walks and working with his Belgian Shepherd dog, playing and listening to music, golf, reading, and recuperating. 10:10 Are you as smart as consumers would like? Mike is the Consumer Council for Water’s head of policy and research. He sits on the executive team and directs CCWater’s policy development. This includes their work on the 2019 price review and customer research which underpins CCWater’s policy positions. Mike spent the first decade of his career at the Met Office, during which time he completed his PhD in modelling the stratosphere. • Excellent delivery and the “right first time” mentality can influence customers’ views of fairness and value for money. Anne Lorrigan is a Product Manager working in the Water Division at Kamstrup, a smart metering solutions company based in Denmark. Her work focuses on delivering new smart water network technology to the market. She ensures new products benefit water utilities through enabling better transparency across the distribution network and improving efficiency of water supply operations. Before moving to Denmark, Anne worked in Water Resources Management at Melbourne Water in Australia. She has a masters of environmental engineering from The University of Melbourne. 11:40 Benefits of using IOT and innovative networks to improve efficiency. Jamie is the Network Project Manager for Portsmouth Water, specialising in the areas of leakage, interruptions to supply and innovation. He has 8 years of experience in the water industry, working for both consultants and water companies. Jamie was previously a Regulation Analyst and has played active roles in the development of both PR14 and PR19 business plans for Portsmouth Water. He now manages the technical team responsible for leakage and interruptions reporting. Jamie is also treasurer of the Institute of Water South East Committee and formerly Portsmouth Water’s WaterAid representative. • What is Event Management? • What does the future hold for the Water Industry? Dr Simon Earl is the Operations Director for South East Water accountable for providing water to over 2 million people every day across the South East of England. Simon’s first degree was in Genetics from the University of Liverpool and he went on to complete an MSc and PhD in Advanced Plant Genetics at the University of Nottingham. Following completion of his PhD in 2003, Simon took the decision to move into the scientific industry progressing through operational and senior business management roles at Yorkshire Water and Thames Water including running the UK’s largest Water Production business. In 2015, Simon made the move onto the Executive team at South East Water. Simon is also a Non-Executive Director with the Water Regulations Advisory Scheme, is a member of the Institute of Directors, a rugby coach for Haslemere RFC and a mentor to several industry graduates and managers. • Finding a solution that enables SEW to visualise, analyse, monitor, predict and improve the real-time performance of its water network—i.e bringing the network to life. • Integrating relevant internal and external data sources into one platform by also combining new sensors and AMI meters - enabling users to correlate and analyse this data while providing different views and capabilities suited tospecific job roles and customer needs. • Converting digital data into meaningful information that is universally accessible to those who need it, integrated to enable an endless capability to analyse and correlate, and structured in a way that it is intuitively easy to tap to derive insights. Eddie Wrigley is an Innovation Facilitator with Northumbrian Water Group, focussed on developing and supporting the company’s innovation culture and identifying promising new products and technologies. Before joining the water industry he worked in a variety of team manager and leadership positions covering materials engineering, business support, sustainable development, local government performance and knowledge management. As an experienced facilitator of Design Sprints and creative problem solving workshops he believes that for every challenge, in every sphere of life there’s a creative solution waiting to be discovered. Graham has over 20 years’ experience working in the utilities sector, helping utilities companies respond to their market challenges and drive more value from their asset base. He is an expert in optimising business processes and designing innovative and transformational solutions and has worked with many of the UK’s leading water sector and utilities companies. Graham was CGI’s Business Lead for the programme to create the Central Market Systems that support the newly established water market. He is also an active member of the Institute of Asset Management (IAM) being responsible for setting up the IAM’s programme to develop a suite of Subject Specific Guidelines publications. Graham is one of CGI’s leading water sector subject matter experts and has recently co-authored the second edition of “GB Water Industry for Dummies”, as part of the CGI For Dummies series. ATi UK’s Managing Director, Dr Mike Strahand, has 25 years experience in the water industry, in both the clean and wastewater treatment market. As a PhD chemist, Mike applies his knowledge to solving process application problems, helping hundreds of companies to optimise their processes. Working with all the UK's water utility plc's, Mike specialises in applying his in-depth knowledge of chemistry to develop innovative solutions for the monitoring and control of water and waste water treatment processes. • Does UK water plc. want SMART networks? • IF we do, what qualities do they need to have? • What might a SMART water network look like? • How do we start on the journey? Isaac has worked as part of the growing Data Science team at DCWW since 2015. With a background in Statistics and Operational Research, he now has a strong experience and interest in developing and implementing machine learning techniques to support operational activity and drive benefit for customers. Andrew is the Water Efficiency Manager at Thames Water and is responsible for delivering the business’ water efficiency targets across London and Thames Valley. He is overseeing the development and delivery of multiple initiatives on household and business customers - delivered in parallel with Thames’ smart metering rollout and as bespoke demand management initiatives. These include large-scale in-home retrofitting, water audits, businesses and schools, and water efficiency communications, retail propositions, online tools and customer advice. Andrew has previously overseen the development of Thames Water’s Affordability & Vulnerable Customer Strategy which covers social tariffs and priority services initiatives for vulnerable customers, as well as Thames’ relationship with Homeserve. Also represents Thames Water on the WaterAid steering committee. Previously, Andrew has been the Water Strategy Manager for the Energy Savings Trust - working to integrate and drive water efficiency through the UK energy efficiency and carbon reduction agendas, and lead the development of the Water Energy Calculator. Andrew was Principal Policy Officer for Climate Change Adaptation and the Manager of the London Climate Change Partnership at the Greater London Authority, and worked in the Australian mining industry as an Environmental Adviser, within coal and base metal mining and processing operations. 16:20 Why single innovation is not enough? Mr. Ignas Vosylius, CEO of Axioma Metering, has had a lot of success in the areas of strategic planning, expansion of businesses and new product development during more than eleven years working in software, hardware development and manufacturing of metering products. He has a bachelor‘s degree from Vilnius Gediminas Technical University (Lithuania), he is also a Master of Business Administration (BMI Institute, Lithuania). Mr. Vosylius has distinquished himself as a valuable team leader for various groups and a mentor of numerous startuppers. Adam has been the Innovation Programme Manager at Yorkshire Water since 2016, focussing on Production, Distribution and applying Circular Economy principles to the Water Industry. Adam joined the water industry in 2011 from a biochemical background in R&D. Initially working as a Technical Risk Analyst for distribution within asset management. This was at a challenging time for Yorkshire Water following 2 years of winter breakout significantly impacting leakage performance. Adam subsequently moved to the non-regulated Kelda Water Services Defence as Data Manager in 2013, maturing the company’s Data Strategy and implementing a new Work and Asset Management System. 9:10 Vitens Utility: Our Data Based Learning Curve. 9:50 Update on the smart metering project and solutions to tackling leakage loss. Bert De Winter is director Innovation at De Watergroep, the largest drinking water company in Flanders, Belgium. He is sponsor of the Water 4.0 initiatives at De Watergroep. He holds a degree in computer science engineering and a bachelor's degree in biotechnology. He has been working for De Watergroep since 2009, where until the end of 2017, as director of ICT, he has ensured the outsourcing of operational ICT, the rationalization of the application portfolio and the digitization of business processes. Between 1990 and 2006, he worked for the Agfa international imaging group at its head office in Belgium. He has worked in the central research and development division, where he has mainly worked on new imaging systems for the graphics and healthcare sector. responsible for the management of urban water cycle in the city of Porto. he was member of the Executive Board of this company. degree in Civil Engineering in Faculty of Engineering of the University of Porto. Sylvia is the Head of UK & Ireland Operations for Diehl Metering, responsible for the overall commercial and technical operation. She has been with the company for over 5 years in charge of sales and contract management of large water utilities and smaller heat and water sub metering projects. Sylvia has over 13 years’ experience in the Smart Metering industry managing large scale smart meter installations and working with the Big Six utilities. Why do we want IoT? Concepts – is it the end of dumb meters? 13:00 Using technology to help meet the leakage challenge. Sean has worked within the utility sector in the UK for over 25 years, working across a variety of disciplines including network management, change management and was instrumental in the development of Anglian Waters Optimised Water Networks (OWN) strategy for AMP6. His current role as Head of Leakage & Optimisation within Anglian Water’s Integrated Maintenance and Repair (IMR) Alliance, involves leading both strategic and tactical teams focussed on the delivery of AMP6 leakage, optimisation and planned work programmes. • Sensors, how they will help reduce leakage. • Hydrophone technology, Advantages, and challenges! 13:40 What technologies are available to enable water companies to reach the PR19 requirement of 15% reduction in water leakage? Michael Allen is a co-founder of Visenti, now part of Xylem. He leads the development of Xylem's smart leak and burst detection systems for its LeakView and SurgeView solutions. Michael holds a PhD in Computer Science. His research focused on the development and integration of high data-rate wireless embedded sensing systems and on-line data processing algorithms. From 2009 to 2013 he was a Postdoctoral Associate at the Singapore MIT Alliance for Research and Technology, where he worked on the development, integration and deployment of Smart Water Network Technologies for Singapore’s water distribution system. In waste water systems, to help optimise network operation and system response to extreme weather events. David has been with Thames water as the Smart Technology Lead for about 2 years looking at the end to end optimisation of Thames Water’s smart metering solution. He is also involved with lifecycle development and integration of new products to the smart metering estate. He is leading the technology improvement drive for Thames Water Smart metering programme for the current solution with keen interests in the emerging LPWA IoT technologies. Prior to joining Thames water, David worked for SSE and played active roles in the development of SMETS 1 & 2 Communications Hubs. He holds an MSc degree in Mobile Communication Systems. Frank van der Kleij, a water engineer with a MSc in Rural Engineering from Cranfield University with 20+ years’ experience in Water Management. As a consultant, for Bristol Water Services, he has worked on several Non Revenue Water projects in Central and South-East Asia. He is a Chartered Environmentalist (Cenv), and a committee member for the Institute of Water South West Area. Ben Earl is the Water Efficiency Manager for Southern Water in the UK where he is developing future strategy, implementing new business models and delivering ambitious water efficiency targets. Ben is working with business, NGOs and the UK government to change the way customers relate to water saving products through labelling and is responsible for delivering Southern Water’s new Target 100 programme. Before working for a Utility, Ben was Environmental Affairs Manager for B&Q, part of the global Kingfisher home improvement group, where he delivered key business sustainability targets and improvements to products purchased by customers. Ben is Chair of the UNESCO Brighton & Lewes Downs Biosphere Region Delivery Board and his early career was spent working for politicians before major roles in the charitable sector, including the Forest Stewardship Council (FSC UK). View details Analytical Technology Inc Sponsors and Exhibitors https://www.analyticaltechnology.com/analyticaltechnology/gas-water-monitors/water_quality_monitors.aspx Analytical Technology Inc. (ATi) is a specialist manufacturer of electrochemical and optical sensors. These sensors are used to measure water quality in drinking water and waste water. Most UK water companies use ATi monitors to control disinfection process, using ATi's market leading membraned chlorine sensors which are supplied under long standing framework agreements. ATi is an agile , innovative company. The latest example of this is the MetriNet system which was developed in a co-creation process with customers on a very short time scale to deliver a solution to the problem of measuring water quality deep inside water distribution networks. Axioma Metering develops and manufactures ultrasonic water, heat metering and data management devices. The company is among the leaders of ultrasound technology in the Baltic States. Ultrasonic water and heat meters are being produced since 1992. As ultrasonic system developers we consistently invest in scientific research in this field and ensure that the meters we produce are advanced, precise and accurate. The meters we develop and manufacture are designed to monitor industrial, commercial and residential buildings. Devices can be connected to our or partner energy management systems, they can be configured and adapted according to the client's needs. We produce heat and water metering devices with AXIOMA brand, as well as with individual customer brands (OEM). Quality commitment, flexibility and agility, value for price and AMR technology is the core of our company. 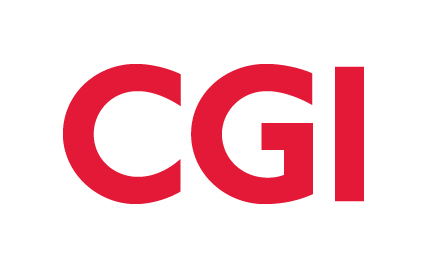 View details CGI Sponsors and Exhibitors https://www.cgi-group.co.uk/en-gb/utilities Founded in 1976, CGI is among the largest IT and business consulting services firms in the world. CGI is a pioneer of innovative technology in the utilities sector with approximately 6,000 consultants worldwide. We help water and waste water companies across the globe to transform their businesses and operations, drive cost efficiencies and improve their customer service. View details DHI Sponsors and Exhibitors http://www.dhigroup.com DHI is the expert in water environments. Providing smarter data, integrated software and considered solutions, DHI blends real-world project experience with dedicated research and development to make our knowledge accessible through our operational services and unique MIKE software. We ensure innovative approaches are suitably applied and, most importantly, add value to client decisions. View details Diehl Metering Sponsors and Exhibitors http://www.diehl.com/en/diehl-metering.html Diehl Metering is one of the world's largest specialist metering and data solutions providers, manufacturing across Europe. We provide smart metering solutions to utilities companies through the intelligent networking of various metering devices into larger data platforms. These solutions offer transparency for utilities and enables considerably increased efficiency in reading, billing and service processes. Our customers are also able to benefit from real-time effects such as early recognition of leaks and the optimisation of distribution networks through intelligent information and real time data. Diehl Metering supports utilities in the UK and across the globe, developing smart meter and IZAR data and software solutions along with providing end-to-end support, backed up by our dedicated UK technical team. With Diehl Metering you are already perfectly equipped for smart metering as an important component of smart city concepts. Thanks to more than 20 years of experience with the company’s own radio technology, Diehl Metering has at its disposal excellent expertise in communications within the IoT (Internet of Things). Moreover, security of our customer data has the highest priority. View details JANZ Sponsors and Exhibitors http://cgf.janz.pt/ Janz – Contagem e Gestão de Fluídos SA. We are since 1915 dedicated to the development of solutions for the water management market. With our headquarters placed in Lisbon we manufacture and distribute water meters, smart metering systems and precision parts worldwide. With a total infrastructure of 11,000 m2 and a century-old experience we are today a state-of-the-art company in IoT metering technologies, volumetric and velocity meters exporting more than 70% of our production. JANZ is always committed to the quality and longevity of our products offering all our know-how and dedication to our clients projects. View details Kamstrup Sponsors and Exhibitors http://www.kamstrup.com/water-metering Based on our +25 years’ of experience in the water industry, we provide utilities around the world with state-of-the-art ultrasonic water meters, high-performing remote reading solutions, advanced monitoring of pressure and leakages as well as intelligent data analytics. We deliver solutions in all shapes and sizes. From individual meters and remote reading systems to fully automated service solutions. Despite every project being unique, the starting point is always the same. You, the customer. View details Sensus Sponsors and Exhibitors http://www.sensus.com Sensus helps water utilities to reach further through the application of technology and data-driven insights that deliver efficiency and responsiveness. We partner with our customers to anticipate and respond to evolving business needs with innovation in communications technologies, advanced metrology, sensors, data analytics and services. With its acquisition of Sensus in November 2016, plus subsequent market leading technology acquisitions, Xylem has brought best-in-class technology solutions together, to create a full end-to-end offering to the global water market delivering an unmatched combination of technology and services. In more than 150 countries, we have strong, long-standing relationships with customers who know us for our powerful combination of leading product brands and applications expertise. View details Global Water Intelligence Official Media Partner http://www.globalwaterintel.com/ Global Water Intelligence (GWI) publishes newsletters, reports, and market intelligence platforms providing analysis and strategic data on the international water market. Its flagship publication, the monthly Global Water Intelligence Magazine, has established itself as the market-leading publication for developers, suppliers, financiers, governments, utilities and municipalities seeking information and analysis on water projects with an element of private sector participation. If you want to find out more about GWI products visit www.globalwaterintel.com/products-and-services. You can sign-up for free access to GWI articles, take a free trial of Water Desalination Report, or schedule your demo of our GWI WaterData or DesalData intelligence platforms. View details Bluefield Research Supporting Media Partners http://www.bluefieldresearch.com Bluefield Research is an independent insight firm focused exclusively on water markets. We support companies across the water value chain with authoritative, actionable water market intelligence. Executives rely on our water experts to validate their assumptions, address critical questions, and strengthen strategic planning processes. Learn more at www.bluefieldresearch.com. Analytical Technology Inc. (ATi) is a specialist manufacturer of electrochemical and optical sensors. These sensors are used to measure water quality in drinking water and waste water. Most UK water companies use ATi monitors to control disinfection process, using ATi's market leading membraned chlorine sensors which are supplied under long standing framework agreements. 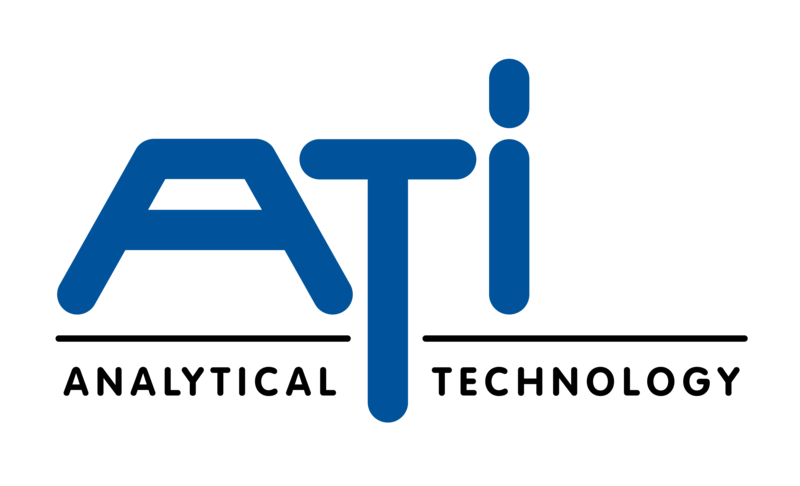 ATi is an agile , innovative company. The latest example of this is the MetriNet system which was developed in a co-creation process with customers on a very short time scale to deliver a solution to the problem of measuring water quality deep inside water distribution networks. Founded in 1976, CGI is among the largest IT and business consulting services firms in the world. CGI is a pioneer of innovative technology in the utilities sector with approximately 6,000 consultants worldwide. We help water and waste water companies across the globe to transform their businesses and operations, drive cost efficiencies and improve their customer service. DHI is the expert in water environments. Providing smarter data, integrated software and considered solutions, DHI blends real-world project experience with dedicated research and development to make our knowledge accessible through our operational services and unique MIKE software. We ensure innovative approaches are suitably applied and, most importantly, add value to client decisions. Diehl Metering is one of the world's largest specialist metering and data solutions providers, manufacturing across Europe. We provide smart metering solutions to utilities companies through the intelligent networking of various metering devices into larger data platforms. These solutions offer transparency for utilities and enables considerably increased efficiency in reading, billing and service processes. Our customers are also able to benefit from real-time effects such as early recognition of leaks and the optimisation of distribution networks through intelligent information and real time data. Diehl Metering supports utilities in the UK and across the globe, developing smart meter and IZAR data and software solutions along with providing end-to-end support, backed up by our dedicated UK technical team. With Diehl Metering you are already perfectly equipped for smart metering as an important component of smart city concepts. Thanks to more than 20 years of experience with the company’s own radio technology, Diehl Metering has at its disposal excellent expertise in communications within the IoT (Internet of Things). Moreover, security of our customer data has the highest priority. Janz – Contagem e Gestão de Fluídos SA. We are since 1915 dedicated to the development of solutions for the water management market. With our headquarters placed in Lisbon we manufacture and distribute water meters, smart metering systems and precision parts worldwide. With a total infrastructure of 11,000 m2 and a century-old experience we are today a state-of-the-art company in IoT metering technologies, volumetric and velocity meters exporting more than 70% of our production. JANZ is always committed to the quality and longevity of our products offering all our know-how and dedication to our clients projects. Based on our +25 years’ of experience in the water industry, we provide utilities around the world with state-of-the-art ultrasonic water meters, high-performing remote reading solutions, advanced monitoring of pressure and leakages as well as intelligent data analytics. We deliver solutions in all shapes and sizes. From individual meters and remote reading systems to fully automated service solutions. Despite every project being unique, the starting point is always the same. You, the customer. Sensus helps water utilities to reach further through the application of technology and data-driven insights that deliver efficiency and responsiveness. We partner with our customers to anticipate and respond to evolving business needs with innovation in communications technologies, advanced metrology, sensors, data analytics and services. With its acquisition of Sensus in November 2016, plus subsequent market leading technology acquisitions, Xylem has brought best-in-class technology solutions together, to create a full end-to-end offering to the global water market delivering an unmatched combination of technology and services. In more than 150 countries, we have strong, long-standing relationships with customers who know us for our powerful combination of leading product brands and applications expertise. Global Water Intelligence (GWI) publishes newsletters, reports, and market intelligence platforms providing analysis and strategic data on the international water market. Its flagship publication, the monthly Global Water Intelligence Magazine, has established itself as the market-leading publication for developers, suppliers, financiers, governments, utilities and municipalities seeking information and analysis on water projects with an element of private sector participation. If you want to find out more about GWI products visit www.globalwaterintel.com/products-and-services. You can sign-up for free access to GWI articles, take a free trial of Water Desalination Report, or schedule your demo of our GWI WaterData or DesalData intelligence platforms. Bluefield Research is an independent insight firm focused exclusively on water markets. We support companies across the water value chain with authoritative, actionable water market intelligence. Executives rely on our water experts to validate their assumptions, address critical questions, and strengthen strategic planning processes. Learn more at www.bluefieldresearch.com.